Here is quick advice on cleaning your coins: Don’t do it! One of the most dangerous assumptions made by new collectors who encounter old coins is that brilliant is best. Incalculable, irreversible losses in value occur when neophytes attempt to make their dark, unevenly-colored or colorful coins shiny. Again and again, I’ve seen rare coins that have been rubbed with, say, steel wool and some household cleaning chemical—scrubbed, and ruined. Experienced collectors and dealers appreciate coins that are original and unretouched. Yes, newly-minted coins are bright. But you can’t turn a vintage coin into a newly-minted one—nor should you want to. Many vintage coins that are near-flawless gems and command tremendous sums of money display prominent medium or dark colors. Attempts to interfere with these creations of time and nature can transform museum-quality rarities into eyesores of low value. Abrasively cleaning a coin will open up or “activate” the coin’s metallic surface. So a coin that may have had an even, attractive, vintage color might shine brightly for a couple of weeks after you clean it but then tarnish and display a hideous dark color a short time later. 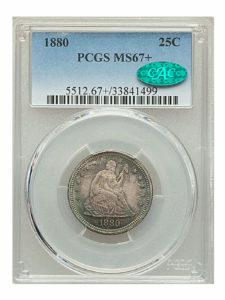 Collectors refer to coins that have turned color naturally over years as “toned” coins. Toning is a testament to a coin’s originality, and certain kinds of colorful toning can in fact add tens of thousands of dollars to a coin’s value. At an auction in February 2018, a silver dollar from 1881 manufactured at the San Francisco Mint that ordinarily would have sold for several hundred dollars was bid up to over $20,000 because the front (or “obverse”) of the coin displayed spectacular, original rainbow toning. Thrifty New England merchants in the 1800s stored jugs of bright-red copper cents in their backyards and forgot about them. Generations later, when the jugs were found, many of these coins were found to have turned glossy brown. This deep brown, a delicate protective skin or “patina,” helped to shield these coins from the elements. Many of those beautiful brown cents are considered to be near-flawless prizes. Experienced collectors are able to look beneath the toning. Any attempt to abrasively clean one of these original coins and, thus, disrupt its patina and original surfaces would destroy its appearance and value. 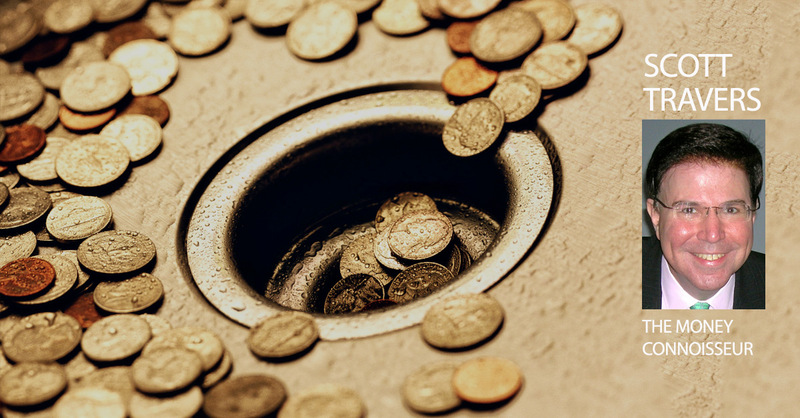 There are some exceptions where coin cleaning or “neutralizing” by a professional can prevent destructive processes. For example, removing airborne particulate matter that landed on a coin’s surface will lessen its chance of deteriorating if the coin is exposed to moisture, a catalyst. Coins found in shipwrecks at the bottom of the ocean are often encrusted with debris that needs to be professionally removed. And if a collector’s house burns down or is flooded and the coin collection is found among the ruins, some or all of the damaged coins might be able to be professionally restored or “curated.” Do not attempt any cleaning or curation yourself. One company that is prominent in the coin curation space is Numismatic Conservation Services. Experts who conserve coins are careful to use processes that remove contaminants from a coin’s surface but do not cause friction on a coin’s high points. Coins are far more fragile than they appear, and even a perspiration soaked thumb touching a Mint State or Uncirculated coin can lower that coin’s rating or grade to circulated, wiping away much of its value with the flick of a finger. For more great tips on how to identify, buy, sell, and care for collectible coins, check out Scott Travers’ Bottom Line video page.